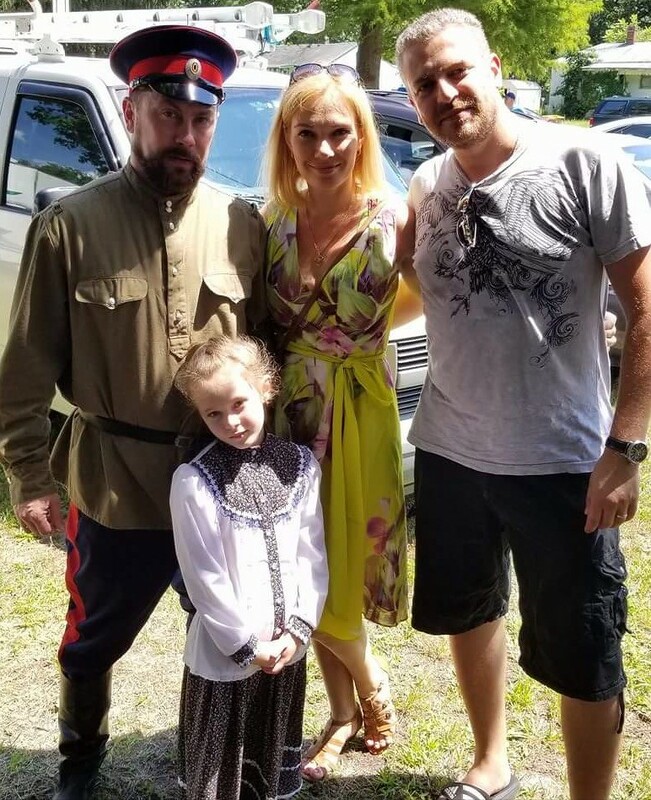 On August 13th, 2017 the Kuban Cossack Voisko Abroad hosted their annual picnic at the Kuban Cossack museum in Howell, New Jersey. Over 300 people had showed up to the annual picnic! The Kuban Cossack museum was open to all guests and provided tours to share the history of the Kuban Cossacks and its relics. The wonderful weather permitted the guests to enjoy live music and to partake in Cossack activities. Among the guests were members of the All Cossack Stanitsa Nikolskaya (Chester, Pennsylvania), as well as members of a military reconstruction group from Fort Mifflin (Philadelphia, Pennsylvania), a historic landmark of the American Revolution and American Civil War. Additionally, representatives of the General Consulate of the Russian Federation attended the Kuban Cossack Picnic. Ataman of the Kuban Cossack Voisko Abroad Alexander Pewnew thanked everyone for attending this years picnic, supporting the Kuban Cossack museum, and upholding the Kuban Cossack tradition for all these years and years to come.